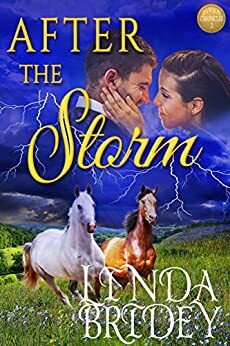 After the Storm: Historical Western Cowboy Romance Novel (Dawson Chronicles Book 2) - Kindle edition by Linda Bridey. Romance Kindle eBooks @ Amazon.com. FREE for Kindle Unlimited or 2.99 to own. 5.0 out of 5 starsLaugh, cry, love ... it's all here. A love story of Tim Dwyer and Renee Keller through bad times and good. Renee has to overcome a horrible ordeal and Tim is there to support her. It is a hard time for the Keller family and I shed tears more than once. Raven leads a search for his youngest son whom they haven't seen for 2 years and they have no way to know if he is even alive. There is laughter to be had in another chapter in the courtship of Emily and Bobby. With those two, there is never a dull moment. I love their ongoing story. I am always eager to read more about the love and lives of the people of Dawson. Linda Bridey is a terrific author and always leaves me wanting another story. Renee Keller was always a flirty girl and Tim Dwyer was one of her best friends. At the wedding of Devon and Sawyer something changed for Tim he started seeing Renee as more than a friend. He asked her father Switch if he could court her. She was surprised when Tim kissed Renee he became more than her friend. You will enjoy this story but is both sad and happy for this young woman and to see how his love for her makes all the difference in her recovery of what a heinous crime was done to her. I look forward to your next book about the residents of Dawson or Echo Canyon. I am so excited the Linda Bridley started a new series using the offspring from a longtime favorite series. It is great to see how everyone is doing. She has the ability to make a reader feel part of the story. I admit I cried when Tim found Emily after the unimaginable happen. I don't do many reviews because I h a vs a hard time with words. But will cry and laugh with this book...especially the last sentence --- "It's not momma. If the butler isn't happy, no body's happy." Or something like that. 5.0 out of 5 starsAfter The Storm ! I love this Author. I don't like telling what the stories are about but I will tell you you are NEVER Bored with her Books. They really need to be ade into a series. I'm following this author and have read all of her books. That is how good they are. 5.0 out of 5 starsSo Exciting! It amazes me how you keep coming up with so much about all these people. I love this series just as much as the others you write about. I want to thank you so much for entertaining me with the characters of these series. They are just wonderful! I am so looking forward to the next book in this series, and I hope that it comes out very quickly! I have read all of Linda Bridey's series. They are wonderful! 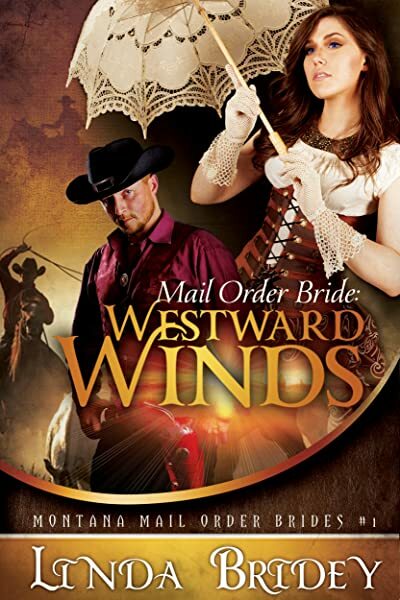 This series is the sequel to the Echo Canyon series and follows many of the beloved characters from that series as well as this new generation of characters. I enjoyed it very much..
5.0 out of 5 starsStrength of love. Despite the sensitive nature of this story, the topic was handled very well. Love can overcome many things and a solid foundation of friendship is the best beginning to a strong marriage. The side stories were very entertaining also. Linda keep up the great work! As usual the book was great. Story was intriguing, plot was great and the continuation of the other stories was wonderful. Cannot wait for next book. Love these books and love having the stories continue.